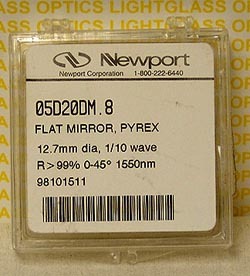 This flat mirror is optimized for the 1550nm wavelength, perfect for laser diodes. This mirrors coatings make it easy to clean without damage to the mirror. Unused in box.